Imagine you have to create a big project with lots of tasks - normally, you'd have to create every tiny detail on the according NAV cards. This is not only very time-consuming but also prone to errors. So, if your jobs mainly have the same structure regarding tasks, resources and job planning lines, why not use one suitable job as model and copy it whenever a similar new job has to be added? Type and quantity of the required resources. 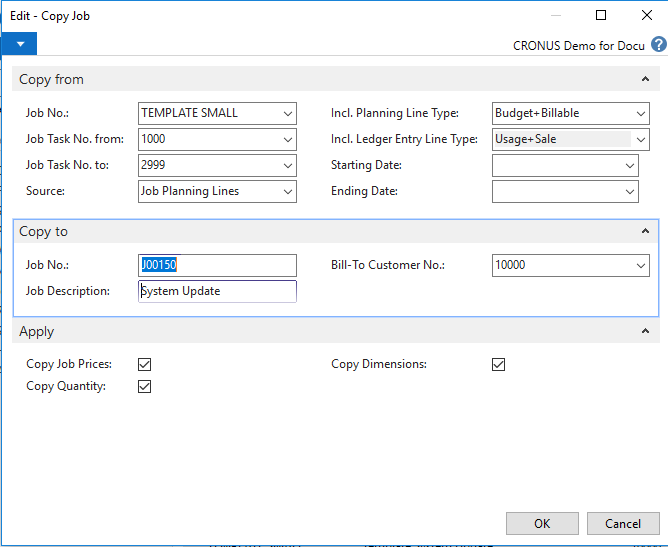 To keep your template as general as possible, you should assign the Job Planning Line to a resource group (only at the end of the process you will assign them to the final resource. See blogpost Rough and fine planning of resources). We recommend to carefully plan your model job and give it a descriptive name - so as to quickly find it and not to confuse it with other jobs that are part of your actual schedule. From now on, whenever you have to add a new job, just copy your model job and rename it accordingly. "But - ! ", I can already hear you object, "This project does not run at the same time as the original one and besides, what to do with the resource allocations?". Nothing is easier than that - because now the VJS comes into play. In the VJS you now can easily do the fine-tuning. Start with the time-scheduling in the jobs view: Schedule the complete job in one go or only parts of it by simple drag & drop. Check wether there is enough capacity on group level. When things seem to get tight, you might have to refine your time scheduling with regard to the resources. Everything ok? Then start refining your resource planning by dragging the Job Planning LInes from the groups to the accoding resources. Watch a video about using templates in the VJS. 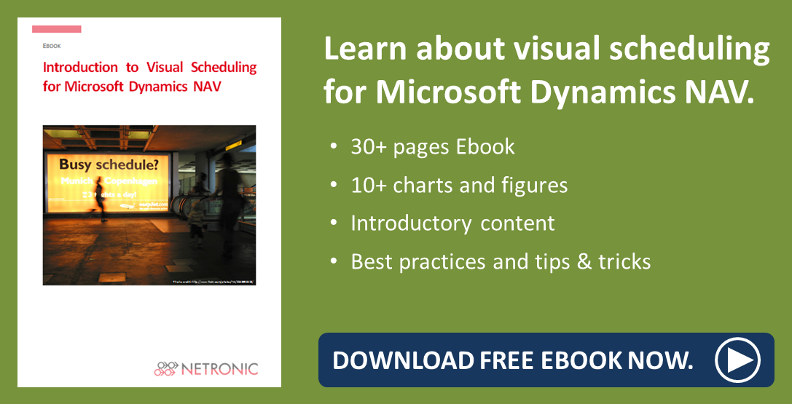 Learn how to speed up project planning with the VJS by starting from a Dynamics NAV page.